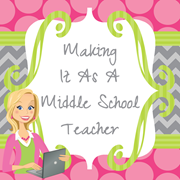 Making It As A Middle School Teacher: Bloglovin', Anyone? If you've been keeping up with blog readers, you know Google Reader sadly went away. 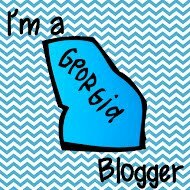 I've been using Bloglovin' and...I love it so far. Please be sure to follow me there to stay up-to-date on all my blog posts. There's a button near the top of the right sidebar. I've been using Feedly, and it's okay. It's always hard to get used to new things! Hi, I'm Janelle! I am a third year middle school teacher, and I have been browsing through teacher blogs recently. Yours looks fun, so I decided to follow. I am always looking for new ideas, and I always try to share mine when I can! I have been using Bloglovin' as well. I really miss the ease of Google Blogger. Hi! I'm a middle school Science teacher and I just started the whole blog thing with the same theme of "makin it". I figured it's a great way to stay organized and also to stay in the loop with new teaching methods. I found your blog through bloglovin' and I'm glad I did. I hope you can take a look at my blog and find it as helpful and interesting as I find yours. :) Thanks! Feedback is Fantastic for Teachers, Too! CURRENTLY Getting My Rear in Gear!